Don’t you just hate it when you need to get ready for camping, and discover that your sleeping bag is still dirty from the last trip, because you forgot to wash it? Wouldn’t it be great if you could use the sleeping bag without it getting dirty and smelly from the sweat? Well, if you start using the best sleeping bag liner you can find on the market, your sleeping bag will remain clean and fresh, just like your bed does because you are changing the sheets regularly. 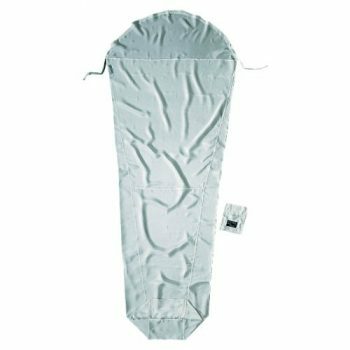 Sleeping bag liner’s primary role is to keep your sleeping bag clean, as well as to offer you more comfort and additional insulation, whether we are talking about keeping you warm or keeping you cool if you are using the bag in hot climate areas. 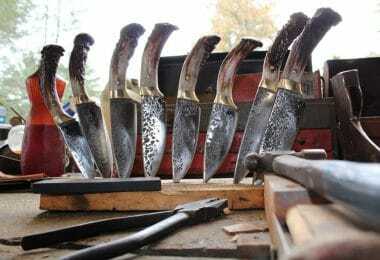 But, since there are so many different brands and models on the market, choosing the right liner is, in most cases, a frustrating job because it demands time, and if you don’t know what you should look for, you can end up with the wrong model. That is exactly why we decided to jump in and help you out. In this article, we will first take a look at the table of the models we reviewed, so that you know what to expect. Then, you will learn the most important features that should be considered before the purchase, so that you make sure the model you are buying, is completely suitable for your personal preferences. At the end, you will go through the in-depth reviews of the best models on the current market, and backed with the knowledge from the previous article section, your final choice will be an informed and perfect one. Let’s begin. Just like when choosing a sleeping bag, there are features, such as size, material, packability, and a few more, that should be kept in mind before making the actual purchase. 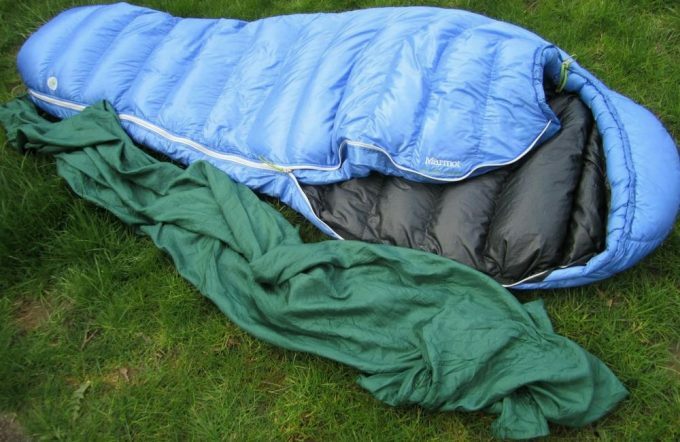 When it comes to sleeping bag liners, here is what you need to keep an eye on. As with any other new product you plan on buying, size is one of the most important things you should pay attention to. 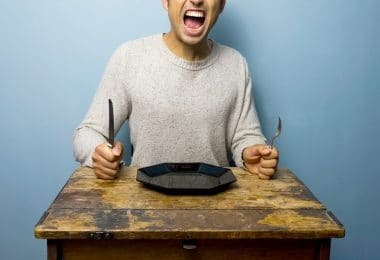 You should make sure that it is big enough for you to comfortably use it, or that it isn’t too big so that it gives you problems when packing, by taking more space than needed. When it comes to sleeping bag liners, first of all, you should check if it’s big enough to let you sleep in it, without feeling too confined. Second, you should see if it’s at least a little smaller than your sleeping bag. This is important because if it’s too small for you, not only that you won’t feel comfortable, but it also might lose its insulating properties to a certain degree because its stretched too much. 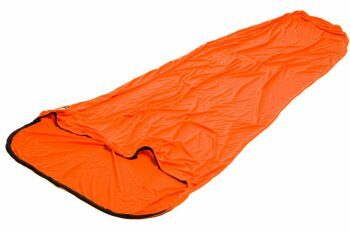 On the other hand, if it’s too big, it might wrinkle inside the sleeping bag, making you uncomfortable again, as well as not keeping you warm. 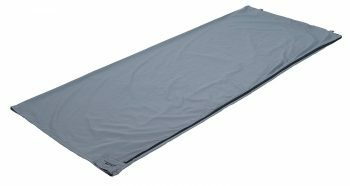 Standard – The rectangular liner comes with a straight sided design, which is made to fit sleeping bags with a rectangular cut. Long – Comes with the same shape as the rectangular, but has a little extra to fit the taller individuals. Mummy – This liner shape is widest in the shoulder area, and the cut narrows towards the feet to offer a more of a snug fit and, of course, to fit inside the sleeping bags with the same cut. Hooded mummy – Same as the mummy shape, but with a hood to provide some extra margin to cover the head. Traveler – This shape is essentially a rectangular cut, with some extra length that acts like a pillow slip, so it has a built-in pillowcase. 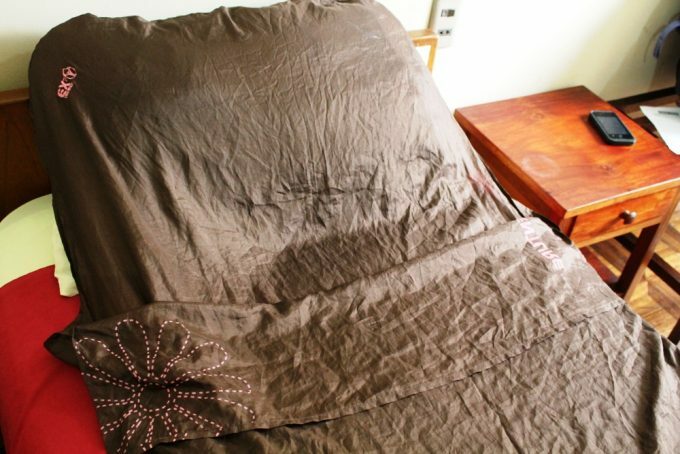 It is very useful when staying in low-cost hotels, where the sheets can be of dubious cleanliness. 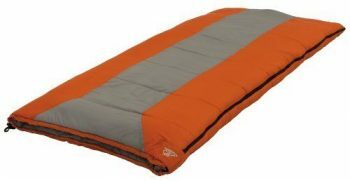 Double – The double width is a version of a rectangular sleeping bag liner to be used by two people, in a bed, tent or sleeping bag, maybe zipped together. When shopping for a sleeping bag liner, it is important to know your destination, more about the climate, the season, temperature, humidity. This is important because you need to know if you should get a liner with waterproof materials in case the climate is humid where you are going, or it should be thin and made of heat retention materials if the weather is dry and hot. So, before buying the liner, check the destination you plan on visiting, and check the weather forecasts. Once you put all the information together, you will be able to purchase a product that will really meet your needs when you are on the field. These are the most compact and also the lightest liners; can get dry very quickly as this is an important feature for ultra thin and durable material – to wick moisture. These are the sleeping bag liners recommended for tropical or subtropical areas, for hot nights when there is just a lot of humidity. A must say about these liners is their weight, packing less than half a pound for you to carry in your backpack. It becomes a must have, as it can replace a whole sleeping bag, helping to travel a lot lighter and therefore Definitely, something to keep in mind. These blends are made for the more accessible side; the thin polyester proves to be very reliable for a small price, useful in the cleaning department as it can keep up with a lot of washes, but it stops here. The cotton ones come in a more of a thick layer. At this point, everything is thicker than the silk liners, but can pack a lot of heat for you. This can also be said about the thicker layers of synthetics, really coming in handy when temperatures go below freezing and when a few degrees are really important. We also want to note that you will come across materials that are named differently, because different manufacturers tend to name them differently, and it depends on the additional materials that are used in the manufacturing process, but even so, these materials are either silk or poly or cotton blends in base. 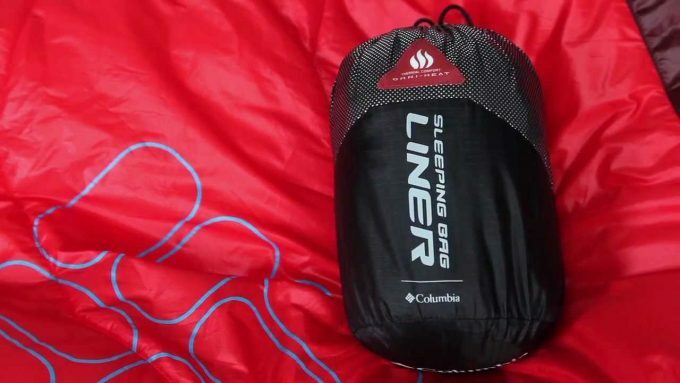 Another important feature to consider is how well your new sleeping liner packs, and how much space will it take in the backpack. You should always try to find the manufacturer packed size specs, so that you know if it will fit your pack, or you need to carry it separately. Also, you should check if the liner comes with or without a compression sack. This is important because if the liner comes with its own compression sack, it can be packed much better, and it will take less space, not to mention that it’s much easier to be packed into a smaller, more portable size. As promised, in this section, you will have a chance to go through the in-depth reviews of the finest models the market has to offer. Armed with the knowledge on the topic from the previous section, making the right choice should be a breeze. 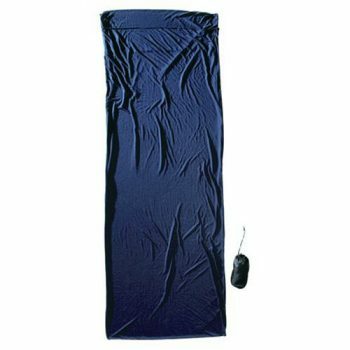 Description: The Cocoon CoolMax TravelSheet is a liner that offers the optimal quality for a small price. The main feature of this product is the fact that it keeps you dry. The Coolmax material, with its innovative wick managing construction, really helps when you are on the move. The material is comprised of four-channel fibers that divert perspiration away from your skin. Moreover, the breathable composition enhances ventilation, really making a difference in those hot and humid nights. Also, the material this product is made of, proves to be very comfortable, it is soft to the skin, and it can be wrapped around your head and shoulders while sleeping or hanging around your room. You can fold it up and pack away in its pouch, but it will take some room in your backpack. It is also stretchy so you won’t feel claustrophobic when sleeping, and includes a pocket for pillow insert, which is great when using a hotel pillow, because you can never be too sure of its cleanliness. Related: Since the liner comes with a pillow insert, getting a compressible pillow that doesn’t take too much space in the backpack, would be an ideal combo for no matter where you are. We recommend checking out the Therm-a-Rest Compressible Travel Pillow. It is really light in weight, can be compressed to an even smaller size for saving storage space, and can be washed in a washing machine. 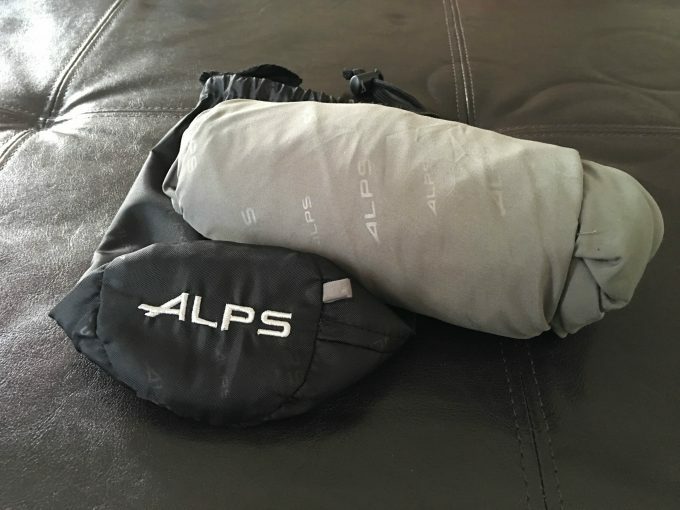 Description: The comfortable ALPS Mountaineering Poly Cotton Sleeping Bag Liner offers that warm feeling you need when you want to relax and fall asleep. Not only this, but it also offers plenty of room to freely roll over or just fidget. Furthermore, the double tab zipper comes in handy, as it provides an easy entry or exit, and it also gives you the possibility to vent the liner a bit. Even more, when you fully unzip the liner, it can quickly turn into a blanket or a sheet. The zipper doesn’t influence in any way the possibility of rolling it up and putting it in your backpack, so rest assured there will be plenty of free space for the rest of your gear. Also, even though it is made cotton, it will not shrink, and when rolled up and placed in its sack, it has a tubular form of approximately 8 x 4 inches, but if you need more free space in the backpack, it can be compressed some 30% more. Related: Even though you can wash this liner in a washing machine to clean it after use, you will probably store it somewhere till you need it again after a while. During this storage period, it can collect bacteria, and that is why we recommend getting the Natura Bona Fresh Clean Linen Spray. You can simply spray the liner a day before using it, just to make sure it’s bacteria free. Description: The Teton Sports Sleeping Bag Liner provides extra warmth by adding 10 degrees Fahrenheit, an increase in temperature you absolutely need in cold weather conditions. And, this liner will give you a clean feeling like sleeping in luxury sheets. As for the material being used in production and the design, the Cotton XL liner is made of durable, brushed cotton fabrics, and comes with a structural design that minimizes twisting during the night. Also, the top sides open and fold down very easily, which is great because you can get in or out of the liner quite easily and quickly. Furthermore, the liner is also machine washable and dryable, which means that from the moment you put it into the washing machine, it will soon be ready to instantly use it if needed. Even more, the included stuff sack comes with a handle and a barrel-lock, and allows you to pack it up very tightly, to about 4 x 4 inches. Related: Now that you have a sleeping bag liner that goes great with your sleeping bag, it’s time to think of ways of even more improving the comfort. To allow yourself the comfort of your home bed, no matter where you are, we recommend getting a sleeping pad, and the Klymit Static V Lightweight Sleeping Pad is one of the best choices. It is lightweight, easy to use, and provides excellent insulation from the cold ground. Description: The Sea to Summit Reactor Extreme Thermolite Liner is great for the nights when the mercury plummets. The liner alone, adds extra 25 degrees F (14 degrees C) of warmth to your sleeping bag, which is great because you can extend the season of your sleeping bag. All of this is possible thanks to the super-insulating Thermolite hollow fabric that provides a lot of warmth, despite being very light. Also, the material is extremely breathable. Another great feature of the Reactor Extreme liner is that it comes with a tapered design from the head to the foot end, so that the overall weight is reduced, and that the thermal efficiency is increased. Also, the mummy shape, with boxfoot, design, provides exceptional comfort. 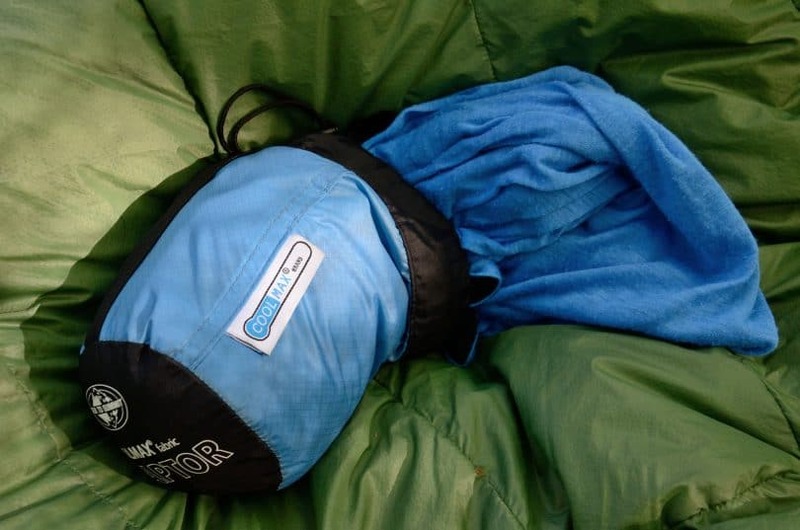 Furthermore, this sleeping bag liner is machine washable and it also packs up very small, around 3 x 5 inches, becoming a product that is highly portable. All in all, despite its higher price range, it really does offer what the manufacturer claims, and is worth the price. Related: Adding this liner will provide extra warmth to your sleeping bag, but what about extra comfort? Our suggestion is to also buy a pillow. We recommend the Trekology Ultralight Inflating Pillow. It is really comfortable, easy to use, and provides both extra comfort an additional insulation. Description: The SE BI7566 Red Winter Sleeping Bag Liner delivers a very good price/quality ratio. The fleece material it is very light and able to keep the body warmth safely inside it. It can be used as a sleeping bag during the colder nights of the summer, or as a heat increasing factor for a normal sleeping bag because it adds 12 degrees F.
Furthermore, the liner rolls up quite nicely, and will be safely banded by the attached elastic bands. Also, once packed, it will easily slip into the included sleeve, which will make it highly portable. The only downside that we found, though it really isn’t a deal breaker at all, is that the liner shouldn’t be used for sleeping on the ground, not because of the temperature, but because of the material that will pick up stray debris such as dirt and branches. However, even without a sleeping bag, it can be used freely inside a tent, or on a cot. 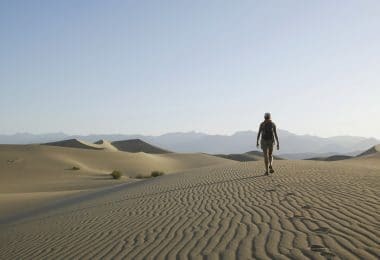 Related: Having a high-quality sleeping bag and liner will take care of your comfort and warmth during the night, but you should always pack a water filtration system because you never know when you run out of drinkable water, when will you come across the next drinkable source. Therefore, we recommend checking out the Sawyer Mini Water Filter. 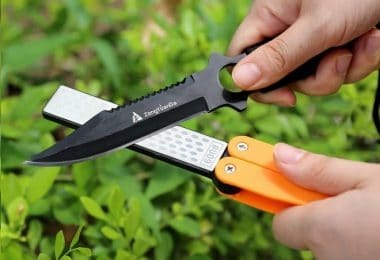 It is really small, lightweight, yet extremely effective and perfect for outdoor adventures when you are not sure about drinkable water sources. 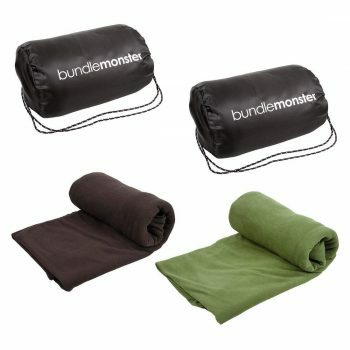 Description: The Cocoon Silk MummyLiner proves to be an essential addition to every camping gear list. Even though it doesn’t have zippers or opens from the sides, like other sleeping bag liners, you can still slip in and out with ease. As for the material being used for production of this liner, the Cocoon Mymmy liner is made of silk, and is great for humid and hot nights, providing a cool feeling that will help you sleep better, while also keeping you very comfortable. On the other hand, this liner is also great for slightly cold nights because it adds 9.5 degrees Fahrenheit of warmth. Furthermore, because of the silk base fabric, you can pack it very tight and make it highly portable. So, in total, with the Cocoon Silk Mummy Liner, you get a great product that is practically weightless, provides extra comfort, keeps you cool in hot weather and warm in cold, has a small packed size, and is machine washable and dries out quite quickly. Related: Even though this sleeping bag liner is quite comfortable, adding even more comfort can’t hurt, right? That is why we suggest adding a sleeping pad to your gear list. We recommend the Therm-a-Rest NeoAir XLite Ultralight Air Mattress because it is really comfortable and reliable, and extremely easy to use. Description: When you have a closer look at the B.M.C Bundle Monster Sleeping Bag Liner you know that you’ll be prepared for the cold nights when camping outside. 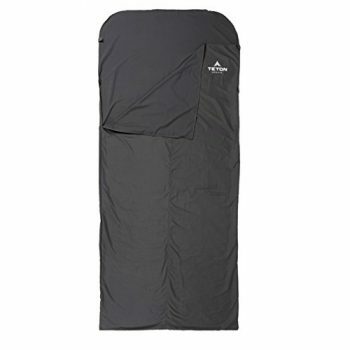 The microfiber provides an insulation up to 55 degrees F when combined with your camping sleeping bag. Also, when it comes to material, the fact that it uses a lint-free, non-abrasive, and hypoallergenic microfiber, means that, beside the mentioned warmth bonus, this liner will be safe to use even if you have allergies, and it will last for seasons to come, regardless of the “torture” it might receive. Furthermore, you can use it as a standalone sleeping bag or unzip and use it as a blanket. The size of the packing bag is larger than other liners, but none of these provide such high temperature ratings as this one does. So, in general, when you want to be on the safe side when it comes to comfort, but the temperature as well, this product becomes quite useful, and comes at quite a low price range. Related: Now that you have the perfect sleeping bag liner for your bag and you can hit snow camping without fear of being cold, it’s time to think about how to put yourself to sleep at the end of the day. The best way would be by reading a book, and that is exactly why we will also recommend getting a portable lantern, more precisely, the Etekcity Portable LED Camping Lantern. Easy to use, and provides an exceptional amount of light for your tent. When it comes to choosing the right sleeping bag liner, it all comes down to already knowing for what kind of conditions will you use it. For example, if you plan on going on winter camping trips, you will need a liner that offers exceptional insulating abilities and adds plenty of degrees of warmth. For such trips, we recommend the B.M.C Bundle Monster. On the other hand, if you plan on using your liner in hot and humid weather conditions, and probably without a sleeping bag, you need a liner that is made of thin, breathable materials, and acts more as an insulator than a warmer. In this case, we recommend the Cocoon CoolMax as it is great at keeping you cool on those hot summer nights. Now, it’s your turn to share some thoughts. What do you think about the sleeping bag liners we discussed today? Are you currently using any of them? If yes, please let us know your opinion and maybe some interesting camping stories involving your liner. Also, if you think that your family and friends will benefit from reading this article, feel free to share it on social media. Thanks for reading.